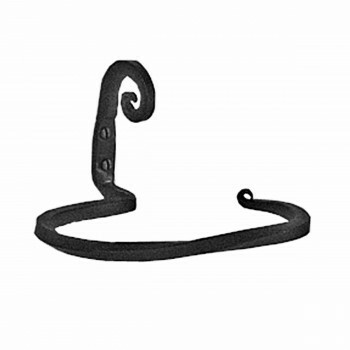 Pigtail Hand Towel Ring 7 1/2 in. W x 5 in. proj. 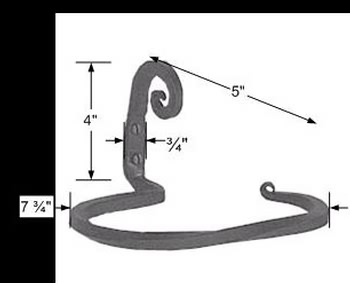 Hand Towel Ring Pigtail 7 1/2 in. W x 5 in. proj. Protected by our exclusive Renovator's Supply Black finish, this pigtail handtowel holder is crafted of heavy-duty iron stock. Hand-crafting makes this one of our most popular collections. It measures 7 1/2 in. long with a 3 1/8 in. inside diameter and a 5 in. projection.